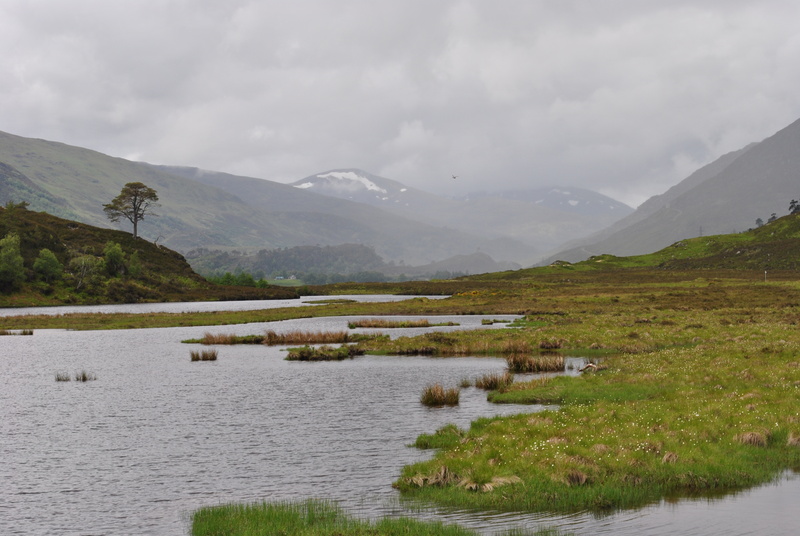 Glen Strathfarrar is a very remote Glen in the Scottish Highlands. Visitors with a car are only allowed access at certain times (especially in winter), a potholed single track road leads deep into the mountains. The glen still has all the unspoiled beauty of a picture book Highland scenery with all the harshness, that comes with breathtaking views. Easy to forget, how hard life has been amongst all this beauty, dangerous and unrelenting. The Highlanders faced many adversities, weather and scarcity of food, lack of sanitation and medical supplies, death and loss. 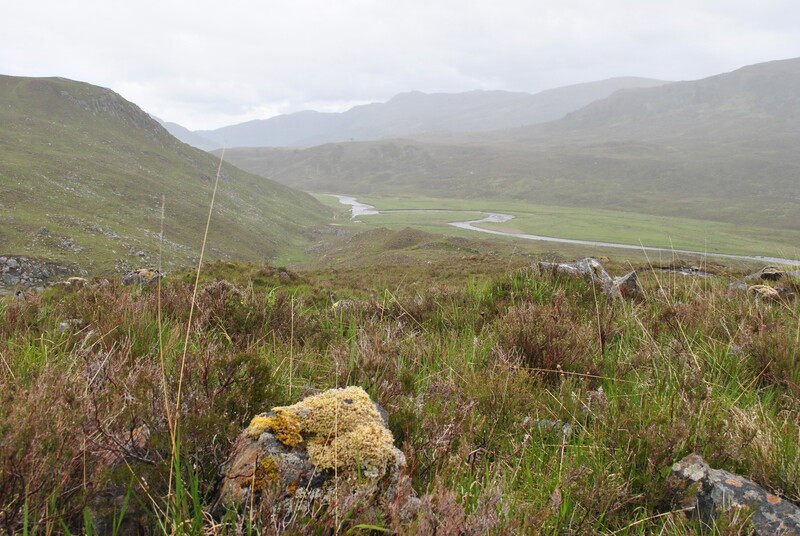 In the 1830s, quite a few people lived in Glen Strathfarrar, one of them was Farquhar MacPhail, a tall Highlander who lived at Luib an Inbhir at the shores of Loch Monar, in those days much smaller that it is today. Monar dam was built after World War II. 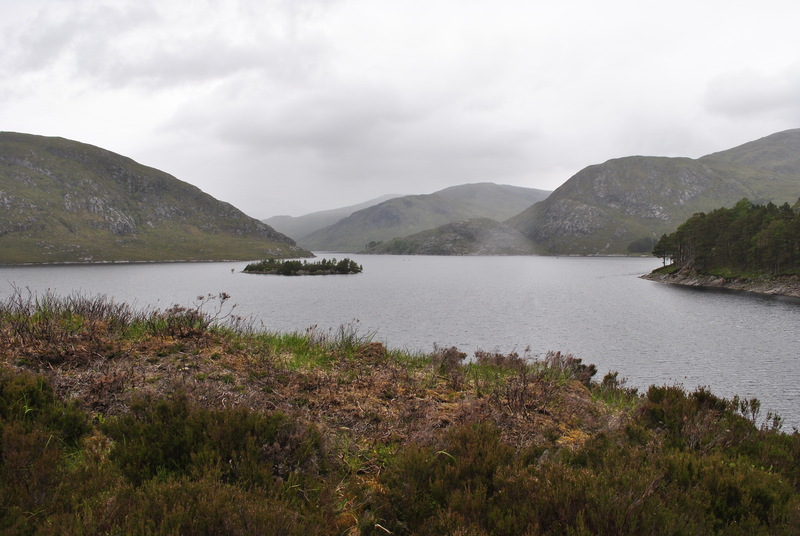 Loch Monar now stretches far amongst the Munroes of the West, old settlements flooded for the sake of energy. 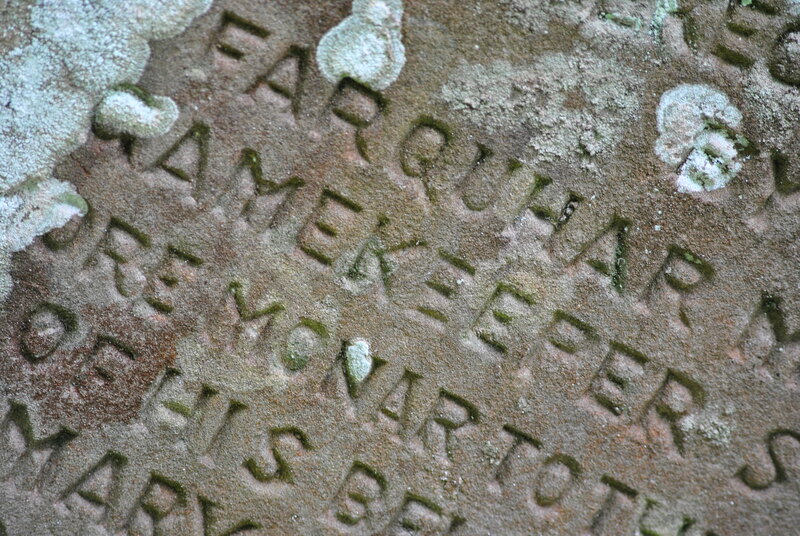 Water should play a vital part in Farquhar MacPhail’s life and indeed in that of his family. 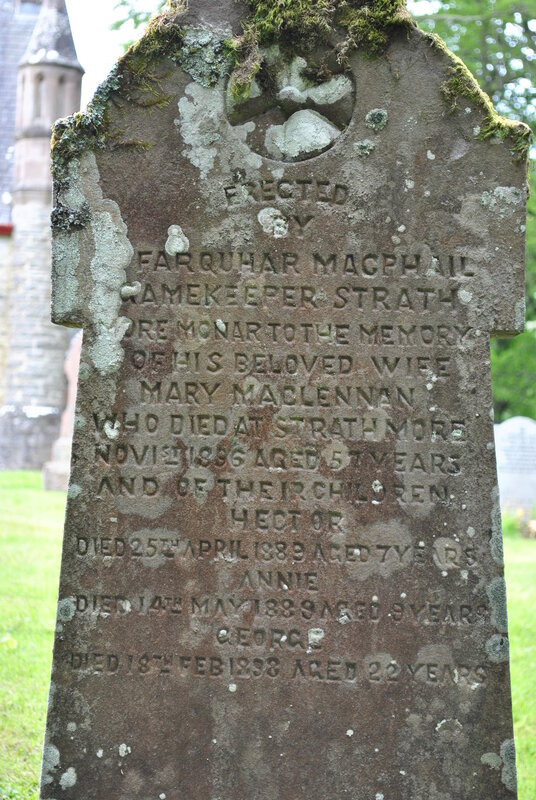 Farquhar and his wife Mary (né MacLennan) lived a life of hardship. 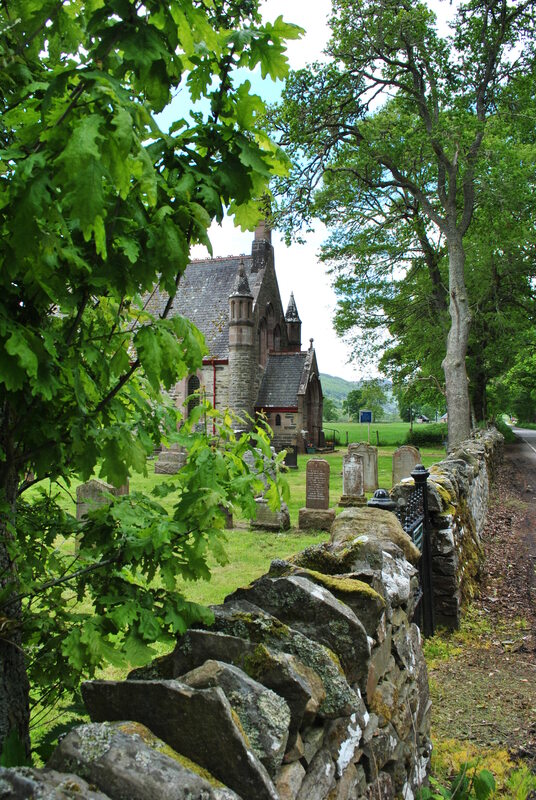 He worked as a boatman and rowed everything and anything that needed to be transported along the Loch, there were no roads. His wife looked after the house, the animals, the oldest son George and late in life, Mary was already in her fifties, the two young ones Annie and Hector. They must have seemed like a precious present to the couple. It was a hard life but not an unhappy one. 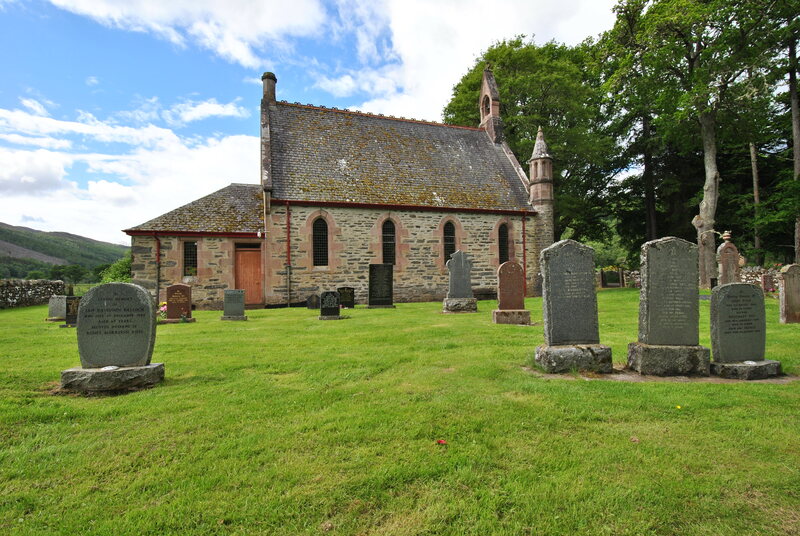 The family moved to Strathmore, where Farquhar worked as a gamekeeper. 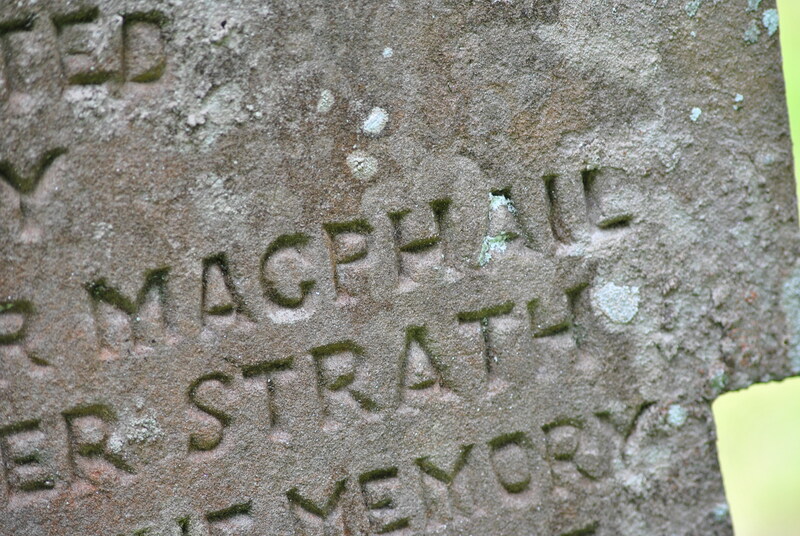 Mary MacPhail died in her late fifties, the two young ones, Annie and Hector passed away soon after their mother. Poisoned water had killed them. Unclean, deadly water. The oldest son George killed himself by the water at a bridge nearby. He was only 22, the younger children 7 and 9. Lord Lovat had planted lime trees next to wells and springs throughout the estate, it was belived they would clear the water and make it pure. But Farquhar MacPhail lived on, alone but brave and unbroken, Surrounded but the stark mountains of Glen Strathfarrar, holding, soothing and easing the pain and grief of a wounded soul with tranquil beauty. 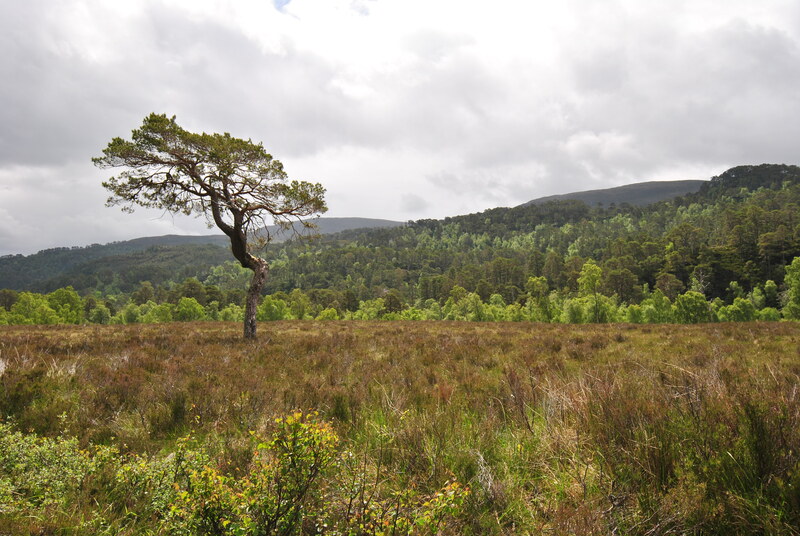 The vast wilderness of Glen Strathfarrar is very much the same as it has been in the days of the MacPhails. 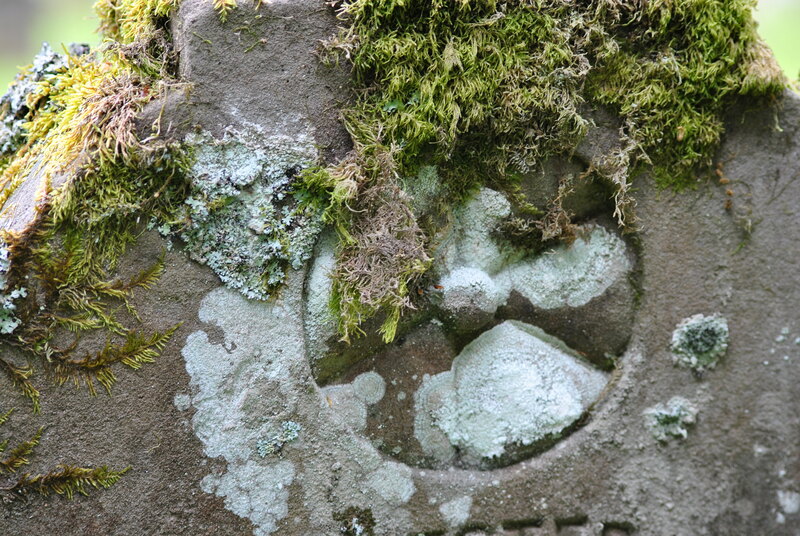 In Struy’s old burial ground, right next to where the rivers Glass and Farrar meet, the stone with which he remembered his tragic loss can be found.